The Graduate Aptitude Test in Engineering 2019 (GATE 2019) is the national level examination for examining the performance of engineering candidates in the B.Tech subjects, quantitative aptitude and reasoning ability. 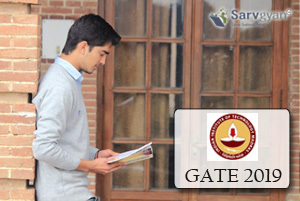 GATE 2019 exam is regulated by IIT, Madras. Many public and private sector companies accept the score card of GATE to offer jobs. Besides this, GATE 2019 score card is also used for admission to the postgraduate programmes like M.Tech. The candidates can get all the details related to GATE Virtual Calculator from this article. The applicants can access the virtual calculator at the time of examination only. The candidates need not to bring the physical calculator as it is not permitted. Online virtual calculator is the online calculator that contains all the functions and operators to carry out operations. The candidates can access the virtual calculator on the examination day. The online calculator will be accessible only through the mouse; no use of a keyboard is needed. The GATE virtual calculator is the online calculator that will be accessed at the time of examination. 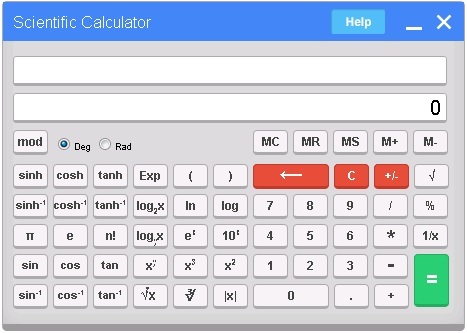 The virtual calculator is same as other physical calculators with all the operations and functions, but the basic difference is that the GATE virtual calculator will be available online and can be accessed through the computer available at the examination centre. On the right hand side of virtual calculator, there are numeric keys for input the digits and operators for carrying out operations. On the left hand side of virtual calculator, scientific functions and operations are available. The candidates can easily perform the calculation by simply clicking with the help of mouse. The hyperbolic functions and trigonometric functions like sin, cos, tan are grouped together and their inverse is provided just below them. At the top of virtual calculator, there are two boxes. In the top most box of the calculator, all the operations are performed while the second box of the calculator shows the result. GATE virtual calculator is a non-programmable calculator. It is not used for solving cubic, simultaneous and quadratic equations. No permission will be granted for the physical calculator. All the calculations with a virtual calculator will be done through mouse; no usage of keyboard is required. For any further assistance regarding GATE Virtual Calculator, leave your comments below in the prescribed comment box. cant we calculate direct answer for matrix? how to make calculation faster so as to save time in exam?? We don’t have any video right now, you can get the video of virtual calculator about how it works by youtube.